The Edinburgh of the southern hemisphere, Dunedin is a character-filled historic city that’s close to rare wildlife encounters. As well as the best collection of Edwardian buildings in New Zealand, Dunedin has the natural wonderland of Otago Peninsula - home to colonies of fur seals, albatrosses and rare yellow-eyed penguins. There are little blue penguins too, for a total overdose of cuteness. Accompanying all the things you can do in this appealing city is a fantastic cuisine culture that comes complete with craft breweries and an award-winning farmers market. 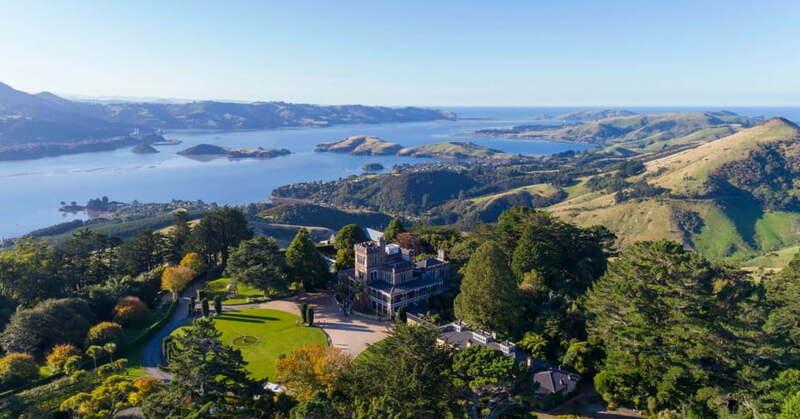 High on Otago Peninsula is Larnach Castle, a Gothic Revival residence built in the 1870s. It’s a true castle, complete with ghosts. Extraordinary rare marine mammals and seabirds live close to downtown Dunedin, including royal albatrosses, yellow-eyed penguins, little blue penguins, New Zealand fur seals and sea lions. The best place to see these amazing creatures is at the end of Otago Peninsula, a wonderland of coastal scenery and wildlife habitats. The road along the peninsula is punctuated by pretty bays, historic villages, farmland, wild surf beaches and sea cliffs. Right at the tip of Otago Peninsula is the Royal Albatross Centre, where you can visit the world's only mainland breeding colony of royal albatross. 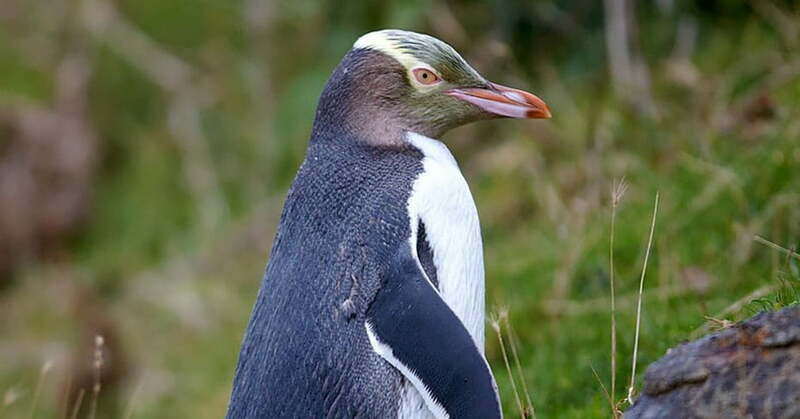 Nearby is the Penguin Place, a private conservation reserve for yellow-eyed penguins (Maori name hoiho). You can also see little blue penguins, fur seals and sea lions with a local tour operator, such as Nature’s Wonders or Monarch Cruises, who will know the best locations for viewing. Many of Dunedin’s most impressive buildings were built in the gold rush days, when cost was no object. As a result, the city has the best collection of ornate Victorian and Edwardian buildings in the southern hemisphere. Opened in 1906 and described as an experimental collaboration of Classical and Neo-Gothic architectural styles, Dunedin Railway Station is outrageously beautiful. The combination of dark basalt and white limestone make it look like the world’s biggest gingerbread house. High on Otago Peninsula is Larnach Castle, a Gothic Revival residence that’s often called the only true castle in New Zealand. Built in the 1870s, it took 200 workmen more than three years to construct. The castle is believed to have two ghosts. Another stately home to visit is Olveston, which provides an intimate glimpse of upper class lifestyle from the early 1900s. As a community, Dunedin is proud to be smart, creative and innovative - especially when it comes to food and drink. Many eating establishments are housed within elegant historic buildings and their menus have as much character as the décor. 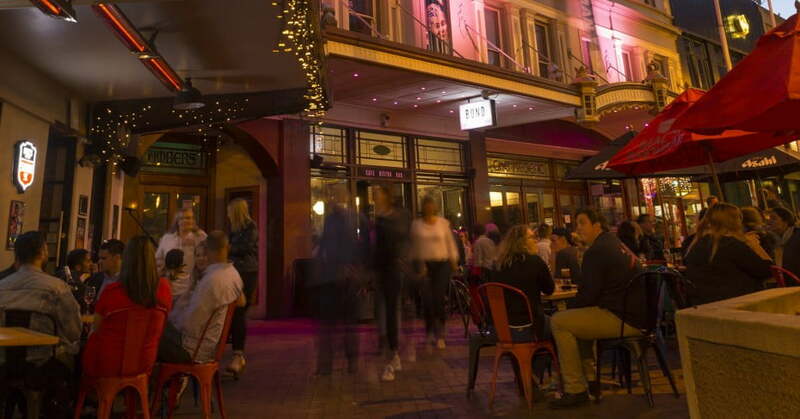 Likewise you’ll discover that Dunedin bars and breweries are one-of-a-kind reflections of the city’s intriguing, humour-driven personality. Every Saturday morning the Otago Farmers Market shows off the best of the region’s produce and artisan foods. This Dunedin food market has been voted the best in New Zealand, so expect to be impressed. In the tasting area of Emerson’s Brewery, Dunedin beer drinkers enjoy a choice of at least eight beers on tap. To make sense of all the flavours, you can do a brewery tour first. Bar snacks, sharing plates and a brunch & lunch menu will make sure your beer intake is balanced with tasty food. A quick bus ride from the Dunedin’s city centre is St Clair Beach, a gorgeous stretch of white sand with one of the most reliable surf breaks in the country. You can swim here in summer or get wet the relaxing way at the hot saltwater pools. Be sure to pack your favourite hiking shoes for your trip to Dunedin, because there are some blockbuster walks in the region. A favourite is the Mount Cargill track behind the city, which delivers huge views of the hills, city and harbour. There’s also a skyline walking route known as the Pineapple Track – you’ll need half a day for this adventure, but it will be totally worth it. On a wildlife cruise you’ll see the city from a different perspective and bring home pictures of albatrosses, penguins and fur seals. The hike up Baldwin Street is breath-taking; it takes about 10 minutes to walk 350 metres! Toitū Otago Settlers Museum will have you enthralled. It's a tribute to the bravery, strength and commitment of Dunedin’s early settlers. The loop track from Sandymount Road is an easy walk and the payback is huge - dramatic cliffs, massive coastal views and a sea arch known as Lovers Leap. The highland road along Otago Peninsula to Larnach Castle is gorgeously scenic. The Taieri Gorge Railway runs from the city through beautiful hinterland all the way to Middlemarch in Central Otago. There are some wonderful cafes in the historic city centre. Visit the Otago Farmers Market to try Ocho chocolate, Evansdale Cheese, honey from Central Otago, Steamer Basin craft beer, haggis and much more. You’ll walk through the darkness then emerge into a beautiful seascape of white sandstone cliffs, green pasture, blue sky and turquoise water. In Dunedin’s Warehouse Precinct there are alley artworks painted by the UK’s Phlegm and Belgian artist ROA, as well as brilliant creations by locals.